The Mid Currituck Bridge has yet to begin construction, but anticipation is already building for the big changes it will bring to Currituck County. The 7-mile span will cross the Currituck Sound, linking the mainland with the Outer Banks communities of Carova and Corolla. The key benefits of the Mid Currituck Bridge are that it will add an additional evacuation route, provide more direct access for emergency responders and reduce travel times for residents, workers, tourists and companies servicing those communities. Here in Currituck County, the construction of this new, major connection to the Outer Banks also opens up business opportunities on the mainland. Development in and around the US 158/NC 168 corridor will accelerate to meet the demands of future travelers in search of restaurants, retail, lodging and entertainment. But Currituck County isn’t the only location that will benefit from the Mid-Currituck Bridge. Opening a new northern route to the barrier islands relieves traffic pressure on our neighbors in Southern Shores and Duck. For Duck, the Mid Currituck Bridge promises long overdue relief from congestion that regularly backs up for hours during the summer season. The bridge will open an alternate route to the northern Outer Banks that should reduce the use of Duck as a “pass through.” And it will ultimately help alleviate the epic bottleneck that occurs when seasonal visitors to the northern and southern Outer Banks all decide to leave at once. While there is certainly no shortage of opinions about the impact and benefits of the Mid Currituck Bridge, my conversations with folks in Duck have been overwhelmingly positive. Business owners, residents (year-round and seasonal) and political leaders in the town have rallied around the future bridge, some even reached out directly. "Building the Mid Currituck bridge is a safety issue for the entire Outer Banks. On any given day during the tourist season (which is also hurricane season) there is a steady stream of traffic in both directions between the Wright Memorial Bridge and Corolla. In the event of a mandatory evacuation, all that traffic has to flow south on Duck Road to the 158 intersection where thousands of other cars are streaming north from the southern OBX towns. In the past the resulting traffic jams have been horrific. People have disobeyed the evacuation orders rather than be stuck in their cars at the mercy of a hurricane. While evacuation will always cause traffic jams, the Mid Currituck Bridge would certainly alleviate the problem by providing a second way to get off the Outer Banks." "As a business owner in Duck I have a summer staff of 12-16 employees who live in the Kitty Hawk/Kill Devil Hills area. A commute to Duck for most of them should be no more than 30 minutes. Unfortunately that is not the case in the summer. On most Saturdays and Sundays their commute can be up to 2 hours because of the incoming visitor traffic. The stress that is put on our workers to simply arrive at their jobs on time can affect their attitude for their entire shift, and a bad attitude in the hospitality business is not what our visitors deserve. Happy visitors with happy first impressions make for happy businesses." "I have lived in Southern Shores for 30 years and have been a business owner in Duck for 23. I cannot get to work on Saturdays. The neighborhood is so backed up with visitors looking for an alternative route to the northern beaches that it is gridlocked on Saturdays and sometimes Sundays. Enough talk already. Please build the bridge and help those guests (who bring us all money) have a better start and end to their vacations." "The highly burdensome traffic on Route 12 affects quality-of-life and poses a danger to walkers and bikers. It should not take 30 minutes or more to drive between Duck and the Route 158 junction. Route 12 is narrow (and risky) enough with normal traffic. But when the traffic backs-up, drivers get anxious and tend to ignore walkers and bikers. I have, on many an occasion, had to take action to avoid getting hit by a car trying to get onto or off Route 12. Of course, there are access issues for emergency vehicles as well. With the volume of traffic, emergency vehicles are hampered in their efforts to reach people in need. The bridge would greatly alleviate this pressure on Duck and surrounding communities." "I know that many are opposed to this bridge. It could change so many things for the local economy and area in general, but I think we all need to think of the bigger picture. We stand to gain quite a bit in terms of tourists and their willingness to come. I think that from an infrastructure standpoint, it would be a complete gain and further boon to the local tourism industry. Let's consider all of the positive impact that we know will be contributed rather than the potential for negative impacts." "We've got several sections of NC 12 that get pretty close to the Sound. If we have a bad storm, there's going to be a lot of people trapped up there. That's always been one thing I've said about the bridge that doesn't seem to come out as much. There is one way in and one way out. That to me is asking for a disaster. And when it comes to traffic, Duck is kind of caught in the middle. There needs to be another way out. Our data shows that almost 90% of the summer traffic that goes into the south end of Duck goes out the north side of Duck. We're doing what we can to help traffic move through... we don't like to see our traffic stop. For years, people around here have been asking, "When is this traffic going to hurt us?" I don't want traffic to get to the point where people stop coming." 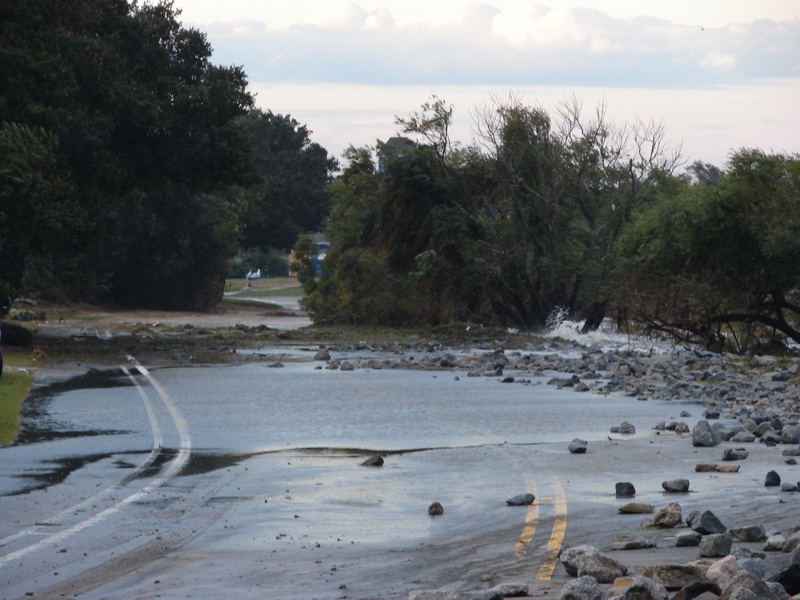 "We have been waiting nearly 20 years to have access to a Mid Currituck Bridge. From a pure selfish standpoint it would cut nearly 30 minutes off our commute to and from Cincinnati, OH to Duck, NC. 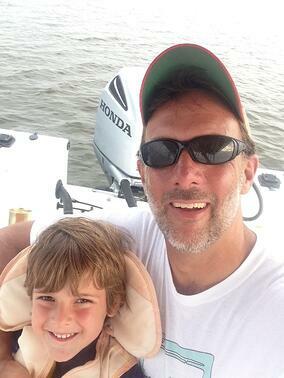 We have been OBX homeowners since 1998 and driving to our beloved second home and adopted OBX - the trip gets longer as we get older. Being able to reduce drive time by 30 minutes could mean more trips to OBX. As they say – build it and they will come – more often!" "My family has been coming to Duck for 37 years. Over the years we have experienced many wonderful vacations in your beautiful town. We have seen Duck transform from a sleepy, restful, laid back town into a first class resort. Most of the changes that have transpired have been positive ones with the exception of the traffic. I love driving on Route 12 knowing that we are about to reach our family destination, unpack and prepare for a fabulous week of fun with family from all over the country. However, each year that drive gets longer and longer no matter what time of day you arrive. I'm no fortune teller but I would venture to guess the bridge in Currituck would help to alleviate some of this horrific traffic." 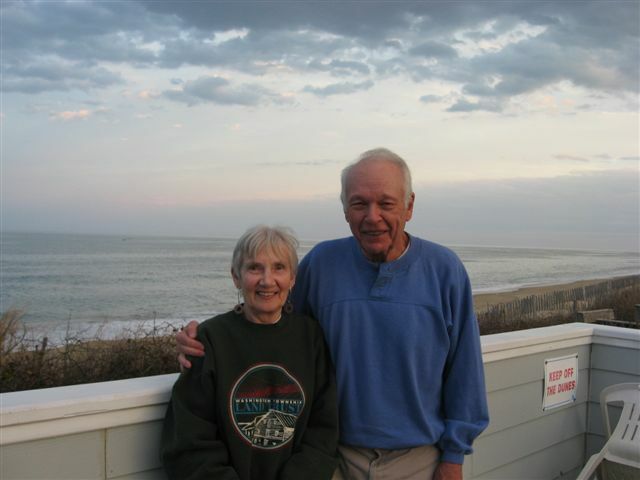 "Our four families have been vacationing together on the Outer Banks for the last 13 years. And each year we have encountered horrendous traffic delays that stress tempers and foster reckless driving by drivers who want to gain a few extra minutes. I am sure the majority of vacation drivers would gladly pay significant tolls to shorten their travel by hours. 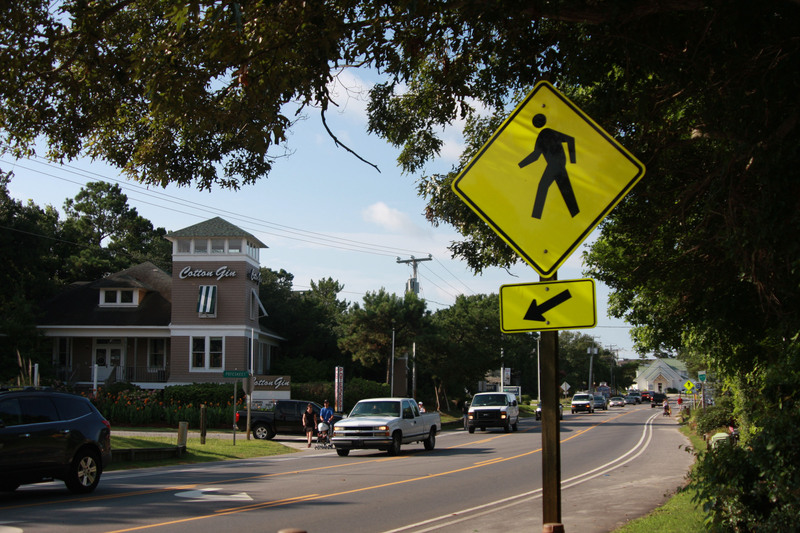 The new bridge would relieve pressure on the Wright Memorial Bridge, improve the safety of pedestrians in Southern Shores, Duck and other northern areas while making life more enjoyable for all." "Let me tell you how the Mid-Currituck Sound Bridge would help. On any summer weekend there is a 30-mile traffic jam on U.S. 158 inching its way southward and a 20-mile traffic jam on NC 12 inching its way northward. Most all of these vehicles are powered by fossil fuels; they produce massive amounts of CO2. What if a Mid-Currituck Bridge could ameliorate that traffic jam? How much CO2 would NOT be spewed into our atmosphere? I am not sure that would save the planet, but it would help." "I am an environmentalist but sometimes we need to set aside our passion and accept reality. The bridge is absolutely necessary for the future safety of our citizens and the myriad of visitors that come to enjoy the magic that only the Outer Banks can offer. With less than 400 voting citizens who are permanent residents of Duck, our population grows to 50,000 visitors a week during the high season which is also hurricane season. Add to this the 75,000 weekly visitors to the Currituck Outer Banks and you have a transportation nightmare like no other. All of these people are traveling on a two lane road. Some think that widening Route 12 and creating “ roundabouts” would alleviate the problem. There is no room for widening. That is definitely not an acceptable solution. It is insane. It will not alleviate the problem. It will add to the nightmare. Sometimes even we environmentalists need to face reality to protect the humans that inherit our earth."